The ButtSeqs Button Sequencer is an ongoing project to make pattern-based sequencing as fully featured as using a DAW. The emphasis is on real time use and improvisation rather than simply pattern switching or playing an arrangement. The paradigm is based upon modes. Each set of button's functions depend on the the mode. For example, the step keys may, in some modes, select each track and the note keys might add a note or select a menu item. These are programmed into the interactive help screens for each mode. 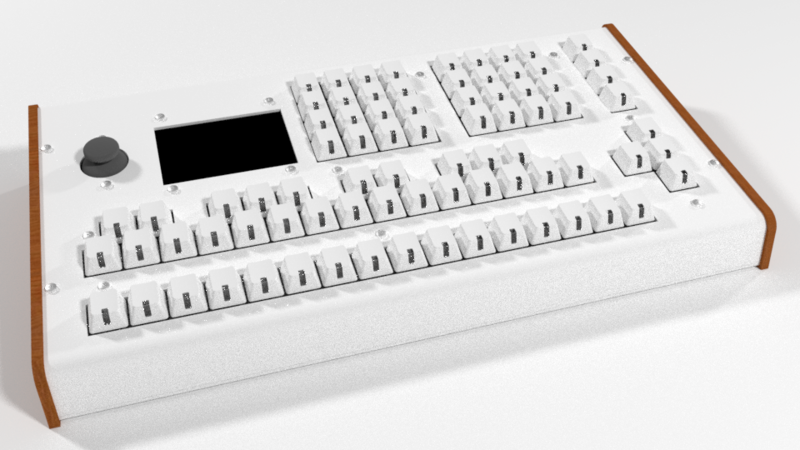 This gives more flexibility than dedicated buttons. We have focussed on the rule of squares and every buttons set has a square number of buttons, all adding up to 81. Select multiple steps at once for processing or note entry. Process mode - Appply a chain of non-destructive processes like mutate and shuffle to each pattern. Mute mode - Appply a chain of non-destructive processes like mutate and shuffle to each pattern. Many more - Batch process, note-based / track-based mutes, live LFO mode. Buttseqs runs on a Teensy 3.6. Auxillary functions that could block playback such as driving the 0.5K colour screen and interfacing with the SD card are delegated to an ESP32 over a serial connection. The majority of the data is stored in blocks on an external 2MB ram chip. The block-based system has space for approximately 59,000 blocks. Each pattern uses one block, and a step containing notes takes, on average, 2 blocks. This product is not final and specification and features are subject to change. This mod brings the DR110 into the modern age (2019) with note triggering via MIDI, individual velocity sensitivity and a few variations on the original sounds. It does not support synchronisation of the DR110's internal clock to MIDI. 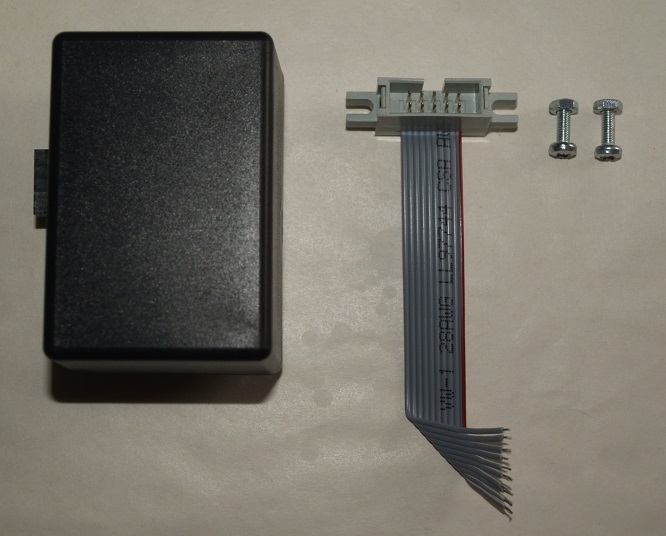 This is a kit for the mod itself and also the connection needed to connect it to the DR-110. The tools required to install this are a screwdriver, soldering iron and a drill and file/rotary tool to make a slot in the case. The kit is no longer for sale but can be made yourself. The PCBs will be available for purchase shortly. 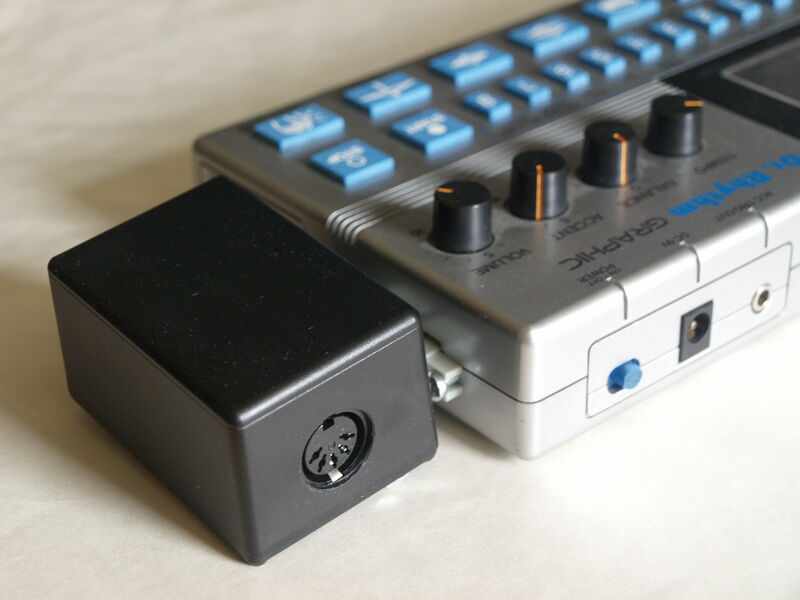 This is only designed with the DR-110 in mind and will probably not work with other drum machines. It may work to some extent if they use negative triggers, but that cannot be guaranteed. You can find everything you need to make these in the downloads section. The first step is to order a PCB + chip from Lynxwave via the above link. Skip this step if you have ordered the PCB + chip. Manufacture the PCBs from the Gerber files. Then order a USB programmer and Ardunio Pro Mini. There are many different kinds of programmer and Pro Mini and it can be difficult to find a pair that work together. A search for "FTDI" gives fairly good results for the programmer, and Pro Mini units are not hard to find. 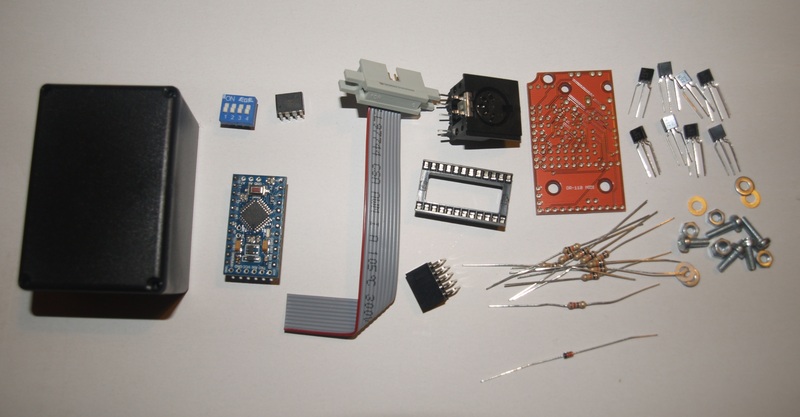 The trick to getting the right kind is to look for a programmer and an Arduino Pro Mini with a six pin header that reads - (DTR | RXD/TXD | TXD/RXD | VCC/+5V | CTS | GND) - Some of the labels may be slightly different and remember that TX (transmit) needs to be connected to RX (receive). Sometimes, the pins are in a different order and would need to be connected the correct way. As far as I know, the CTS signal is not used. Download the Arduino software and connect the Pro Mini to the computer via the programmer. Then upload the EEPROM code and then the main code. Get all the parts together as per the below list. 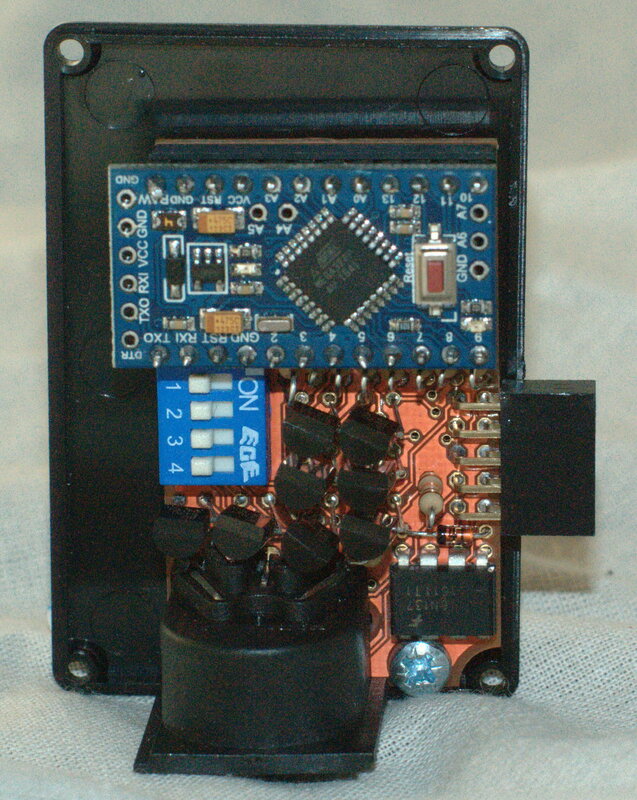 Populate the PCB following the instructions in the manual and then assemble. The code that runs on the mod. 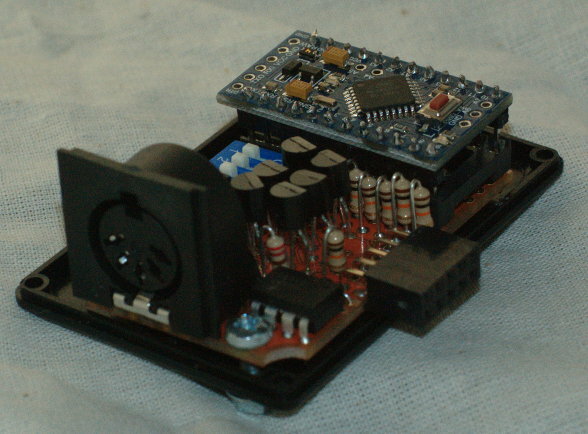 To install this on an Arduino Pro Mini, you will need a cheap USB to serial convert, such as the CP2102 USB to TTL. This needs to be programmed first as it sets the EEPROM to the correct vales. (The MIDI note numbers are stored in EEPROM because they are user-changeable. The Eagle board file which defines how the components are arranged physically. The Eagle schematic files which defines how the components are connected. Everything required to assemble the unit.